Home » Uncategorized » In Norway ONLY THE STRONG SURVIVE! In Norway ONLY THE STRONG SURVIVE! The thoughts below are inspired by Facebook correspondence with another special Brother-Friend of mine from 30 years ago, Edem Djokotoe. Edem inspired me as gifted writer and journalist already at that time when we first met as students at UNZA. 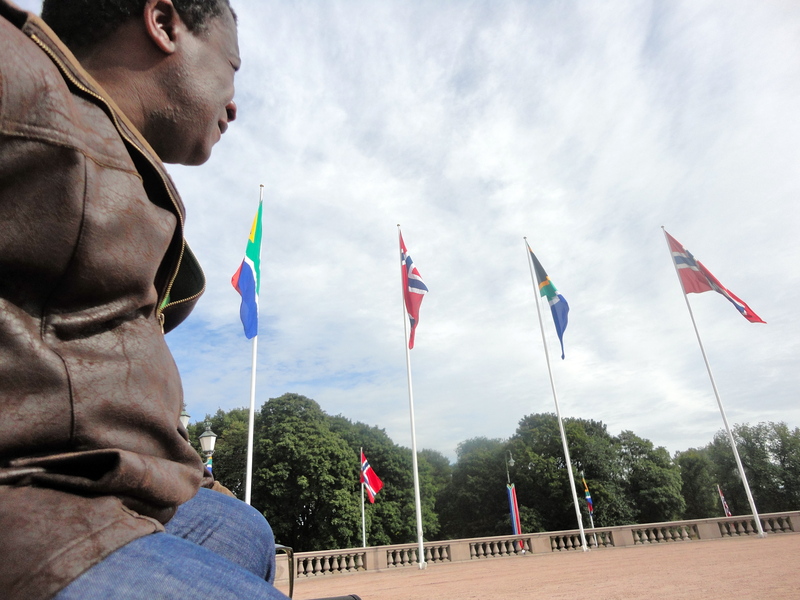 I dedicate the article to welcoming ‘Msholozi , H E President Zuma, on his official State Visit to Norway today. 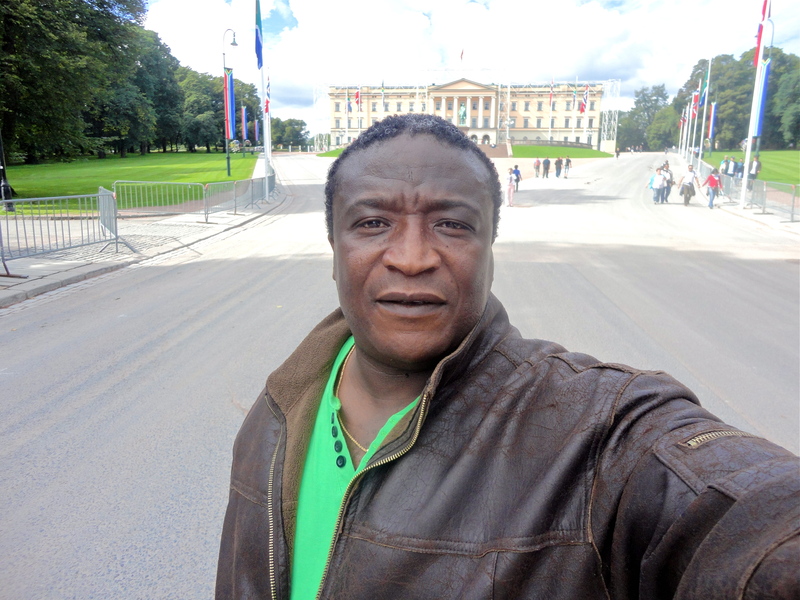 In Norway, just like “… in the ghetto, only the strong survive” . I’m from the ghetto, and this is my country, so I know. With the prevailing enormous wealth of Norway you’d expect there to be no weak people in this modern-day Canaan, land of milk and honey. The weak I shall define as those who for various reasons live, if they don’t perish at all, on the fringes of the conventional modern society. They will be experiencing various personal, health, and material issues rendering them inadequate to participate in normal day-to-day societal building and development activities; living in varying degrees of misery and poverty. Or they may indeed be outwardly functional, but lead such eccentric life-styles that add very little value to society; all this within their rights as citizens living in an open and democratic society, where the ethos of The Right to Choose is paramount to human existence. Norway is indeed a relatively safe haven. But the country does also have its own share of societal growth and development challenges. I’m going to argue that at the individual level, Norway is a very hard country to live in for all. I’m going to show that indeed only the strong survive here. My point of contention is that compared to the extreme wealth out here, there just are too few people in the land for the not-so-resourceful individual to live up to the corresponding pressure attendant to effective maximum exploitation of the wealth for the benefit of all. For some individuals the concepts of Division of Labour, and Comparative Advantage just can’t work. Given the way in which the Norwegian society is organized with regard to low population statistics vis-à-vis the extremely high level of opulence, labour is just too expensive for many an average citizen. Therefore to survive in Norway you have to be a Super Person. Jack/ Mary of all trades. You do a lot of things for yourself, or alone to make your world go round here. Easy to crack for many after a while when they necessarily have to combine professional lives with competing domestic/ family needs, as well as hobbies and other social and spiritual needs. Much pressure could be eased here if it were to be an accepted and affordable norm to outsource for private/ personal assistance for some of these things where obviously applicable and deemed necessary. Man-Woman/ Man-Woman in one. Gender roles questions can be too tough for many here. To survive here you have to have a clear idea of what you are, what you want to be and live accordingly. Thanks to different interpretations and applications of politics of Equality of the Sexes, things have fallen apart for many here too. The affluent society itself as a collective necessarily exerts its own pressure on the individual. You shall always (strive to) be the best in your field in order to achieve lasting recognition, and thereby enjoy endlessly the resultant benefits of your own private wealth creation. The day you wake up without the fire and drive to perform and deliver, the affluent society then is likely to dump you. Those who for various reasons fail to regenerate themselves in time are likely to fall out completely. And if even Society through relevant institutions also fails, giving due regard to the choices the individual makes him/ herself, then starts the cycle of misery and poverty. It may not only be material poverty, but, probably most important, poverty of the Soul, Spirit, and Mind. The real tough, strong, and smart Norwegian Super Person overcomes above challenges through, among other things, maintenance of workable if not strong family links, as well as establishment, maintenance, and sustenance of strong and long-term social networks and relations. Arguably one of the most decisive survival mechanisms for the Norwegian Super Person is, living out the dreams The Affluence Democratic Society facilitate, he/ she has the ability to escape to other parts of the world where Division of Labour, and Comparative Advantage work very well for richer people. For a long-weekend to a fortnight to whatever a year, our wealthy heroes from Norway can forget the stress and hassle of our country, enjoying life to the full i Syden or wherever without any worries; coming back home re-vitalized and energized for yet another round of exciting round of day-to-day personal, family, and professional challenges. Though not perfect, naturally, the Norwegian society does have functional systems and checks, as well as institutions to help those who for whatever reason fail to make the Norwegian Super Person mark. In my world money can buy and fix everything, but not everything is money-purchasable. Money can create and buy all sorts of things, services, and institutions for the people; but even all the money in the world cannot buy or substitute the crucial human factor, compassion. I see the expression and application of compassion as a two-way traffic. We shall naturally show and give compassion; at the same time must we be open to receive, acknowledge, and thrive on compassion ourselves. The weak and, by extension, non-resourceful in Norway may be so because one of the things they lack in life may be a conscious and deliberate knowledge and skills of how to deal with compassion. There are of course Norwegian Super People who do not manifest much compassion in most, if not all aspects of their lives too, thinking and believing money can and will always buy them into happiness and success, as well as control and power in life. Unfortunately, sooner or later the worlds of the latter do come to collapse also. It is in my opinion these rootless, non-compassionate people of our own who are the real threat to the Norwegian society. 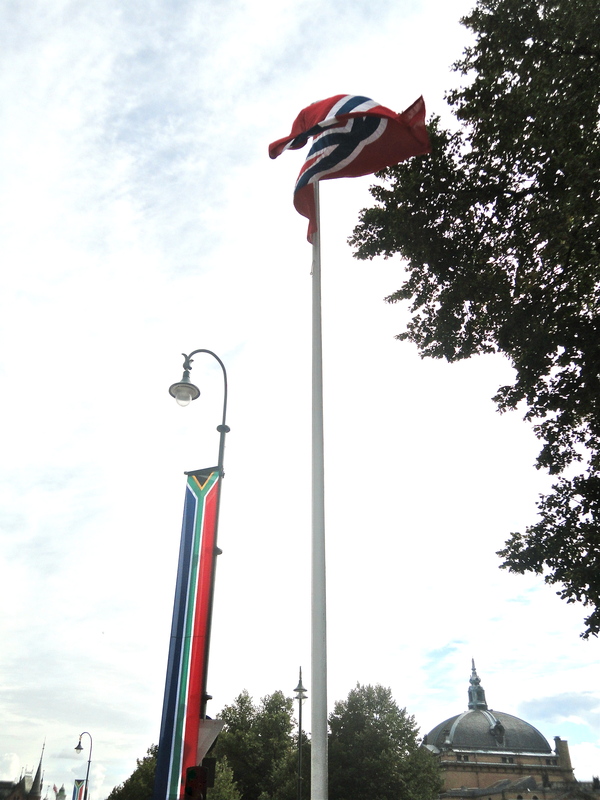 We can, and we shall overcome them by continuing with the open, multi-ethnic society Norway has become. Let’s love one another more, make more children, and keep inviting even more people from abroad to come work and live in Norway. The country with a large, colourful population can get even more out of its awesome wealth and people. We run away too much from Norway while somebody, a child, is sitting in a corner somewhere in the country crying for help. When some of these unheard, unseen children grow up without compassion they cease to cry; they become loners, move in silence, only to make us aware of their presence in some of the most out-of-the-ordinary destructive ways. But then again, because Norway is ever So Strong, all Norwegians will breathe, eat, drink, and live compassion in time. By Simon Chilembo in Uncategorized on August 31, 2011 .